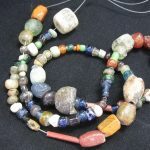 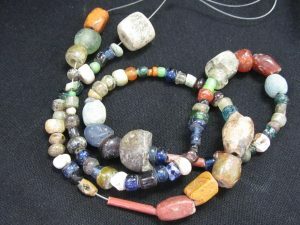 Middle East Beads, Stone & Glass, Faience Mix from Syria. 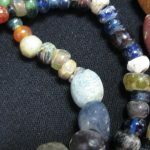 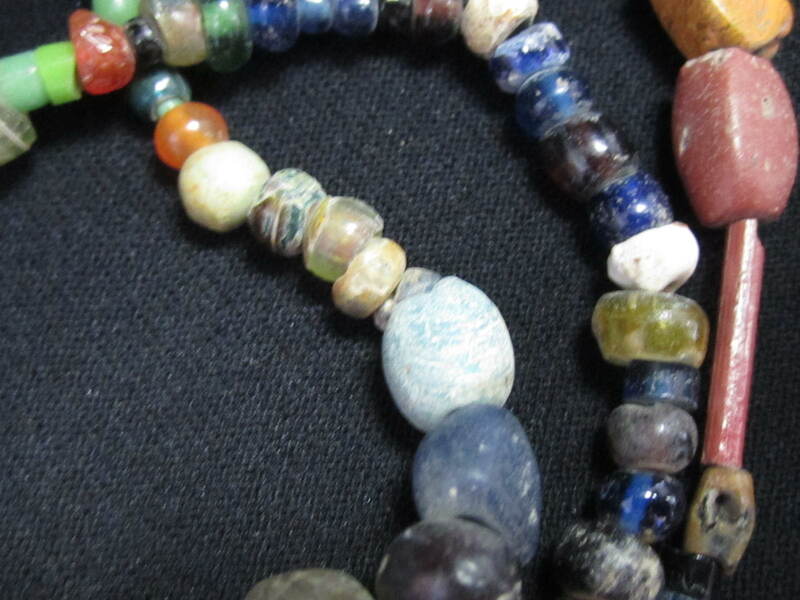 Middle East Beads, Stone & Glass Mix from Syria. 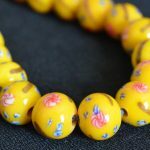 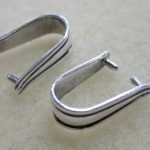 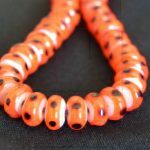 Smallest beads are about 3.5mm and the larger are 10mm and 14mm. 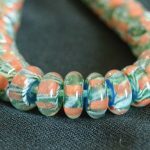 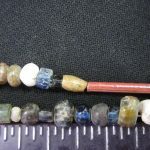 There are a couple of Faience beads. 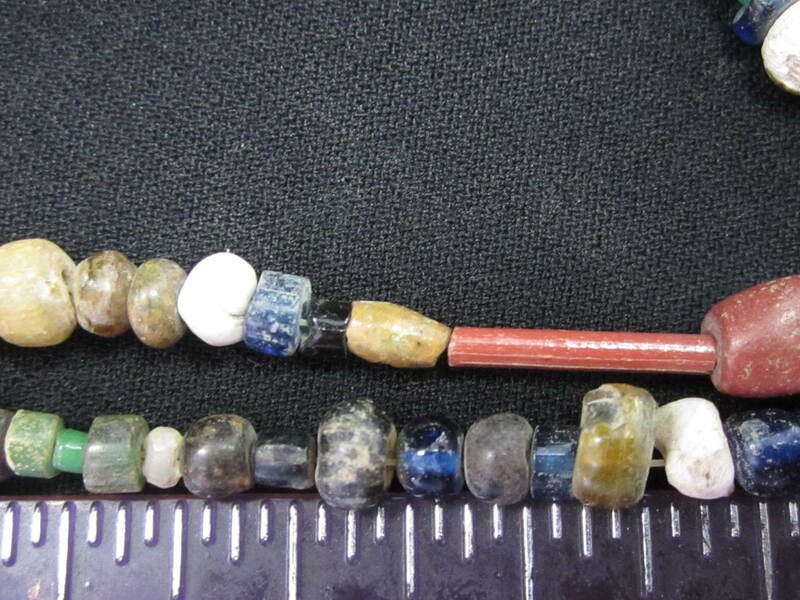 Strand measures 15 inches.